hen the heads of Warner's headquarters learned of the sale of Polish Recordings, then - as Bartek Chaciński writes in the article Marka dużej wagi - they asked only whether it is a company that has Krzysztof Komeda's Astigmatic in their portfolio. This album is still among the best jazz recordings - not only in Poland but all over the world. Released with number 5 in the Polish Jazz series perfectly endured the passage of time, which can not be said for all 76 albums included in this series. The series was an idea of the composer and artistic director of the Polish Recordings, Ryszard Sielicki, but it actually realized for years by musicologist Andrzej Karpinski. Covers were designed by the best of the best - Rosław Szaybo and Marek Karewicz. 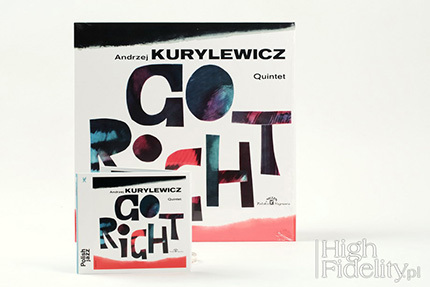 The series was preceded by the Go Right album by Andrzej Kurylewicz quintet, which was unofficially called "vol. 0", and was being officially released since 1963, when the album with traditional jazz music by Warsaw Stompers, New Orleans Stompers, vol. 1 was released. The series ended in 1989, when they released the last album - Lonesome Dancer by Lora Szafran. PJ was obviously not the only jazz series released in Poland. Different albums were released under the PolJazz name by the Polish Jazz Association, and since the late 1970's Polish jazz was also released on Helicon Records discs, founded by the International Federation of Jazz. However, it was the most prestigious one. Most PJ albums were reissued, first on LP, and after 1989 some were also reissued on CD, but not all of these new issues offered good quality. 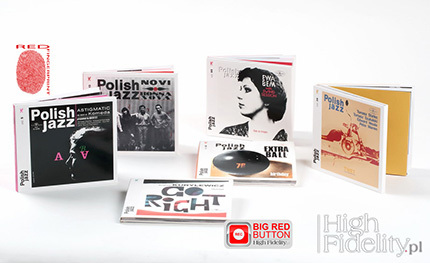 Therefore, the decision of Warner Music Poland to release ALL Polish Jazz series, both on Compact Discs and Long Plays (180 g) is highly appreciated. Even more so as a large part of the titles released as part of this series today is not particularly attractive (so expected sales might not be too big). As Paweł Brodowski says, the editor-in-chief of the "Jazz Forum" magazine, an expert on jazz, the main editor of the series relaunched by the new owner, it includes albums of exceptional artists such as: Namysłowski, Komeda, Kurylewicz Trzaskowski, Wroblewski, with traditional, innovative and experimental jazz. But many of them are the result of knowing right people or were recorded (almost) by coincident. And yet ... "It is difficult to indicate equally important, valuable music series in our part of Europe" - says Brodowski cited above, and it is hard to argue with that. All the more respect to Warner for this decision. In early April the first group of six Polish Jazz albums remastered by Jack Gawłowski JG Master Lab were released. It is the same man who was responsible for, among others, Niemen's, Maanam's etc. remasters, that we wrote about in the our May issue (see HERE). Pawel Brodowski was responsible for the merits of the reissues and he came up with the idea about in what order should these albums be released. The simplest method would be to issue them one after the other, but it would probably not be particularly attractive for music lovers and probably would not guarantee financial success – these are two sides of the same coin. So he came up with the idea of releasing albums in groups of six and each such group will include traditional, experimental, vocal etc. jazz in such a way that each group will also include recordings from different periods. By the end of this year dozens of titles will be released. Since this is the first batch of new remasters, I feel I owe Readers an introduction and I should also outline the context, which significantly extends this test. The next parts will be much shorter :) This article has been divided into two parts: Part 1. titled: Polish Jazz - editions and Part 2.: Remaster 2016 – sound quality. You can start from the first one, or you from the second, read them separately or together – I leave the choice to you. We would like it to be a solid basis for the remaining parts of this cycle. Given the importance of a large part of the albums issued with PJ logo, as well as their popularity, a small number of reissues come as a surprise. 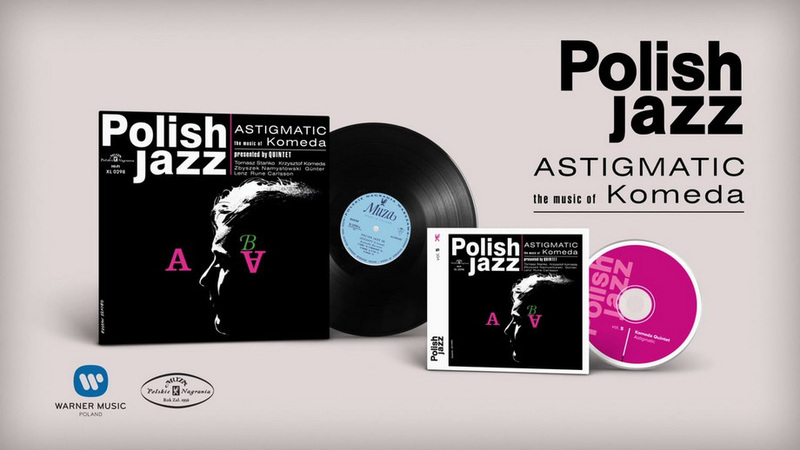 Most of them concern the Komeda's ASTIGMATIC album and there is something to boast about: there are seven Polish editions on vinyl (plus one Czech and one German release) and nine editions on the CD. No other item from the catalog of Polish Recordings come even close to these numbers. Usually there are two, rarely three, LP releases and one, or even no CD release. 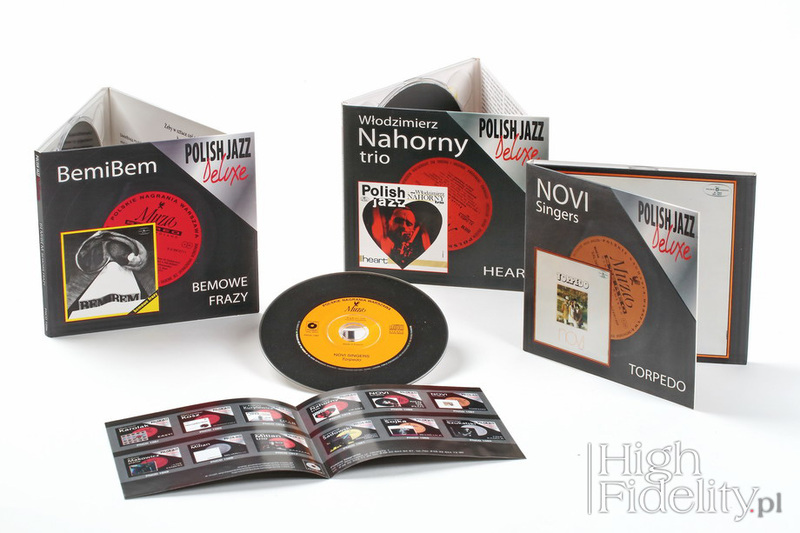 The problem is that in fact they never managed to reissue all the items of Polish Jazz series. In the next part of Polish Jazz Forever I'll write about vinyl editions, but this time I would like to focus on digital editions. 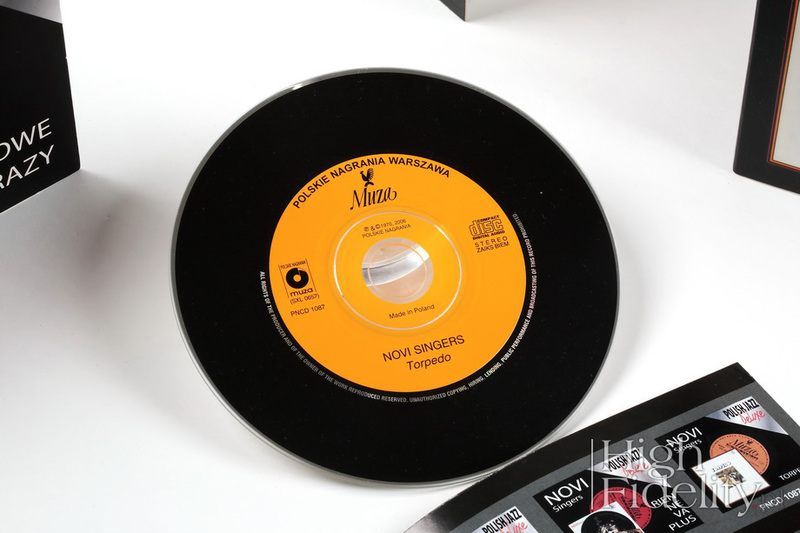 One must know that, although the CD and LP versions are released simultaneously, the new remaster was prepared in the digital domain for the Compact Disc release. The first attempt took place already in 1989, so soon after the Polish Recordings began selling CDs. Fifteen albums were released labeled "Polish Jazz," with recordings of Komeda, Trzaskowski, Ptaszyn Wroblewski, Novi Singers and so on. But this is not a full-fledged re-release, because the discs contained a variety of tracks taken from different albums of the artist, although they used only albums released as part of PJ series. In the case of Komeda they resorted to full ASTIGMATIC album, adding eight additional tracks to it. Recordings were transferred to the digital domain from analog tapes, but it is unclear whether these were the master tapes or copies, and if these were "master-tape" then of which generation. Covers used for all discs were identical and today they could only arouse nostalgia - for many years they were considered to be extremely ugly. Polish Recordings performed another attempt only in 2004. 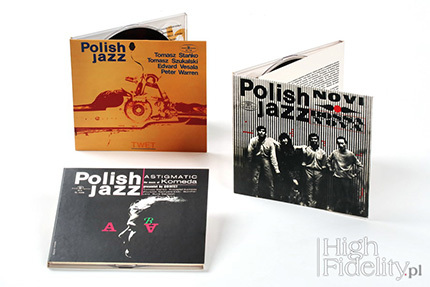 This was the first time when the Polish Jazz albums were reissued with their original covers. Unfortunately only 16 albums were released and the project was abandoned. Among the selected titles there were such albums as: Go Right by Kurylewicz, Astigmatic by Krzysztof Komeda Quintet, TWET by Tomasz Stanko, Winobranie by Zbigniew Namysłowski, Unit by Adam Makowicz, Scant by Andrzej Trzaskowski Sextet and Modern Pentathlon by Laboratory. Discs were issued in digipak boxes, with the first opened page that was a copy of an analogue edition - on the front page there was a cover, and the other (internal) a back side of the cover. The CDs were imitations of LP albums, with a vinyl-like label in the middle and with a black edge. The label had nothing to do with the original issue, though. The cover artwork was pretty good. Under the clear plastic inside all the PJ titles were listed, including Kurylewicz Go Right, but without a number. It is worth noting that for the first time the publisher officially included Andrzej Kurylewicz and his trio's album to the canon, although originally it was released without PJ logo and a series number. It is only corrected by Warner Music Poland, that at its remaster of 2016 gives this album a number, "vol. 0". 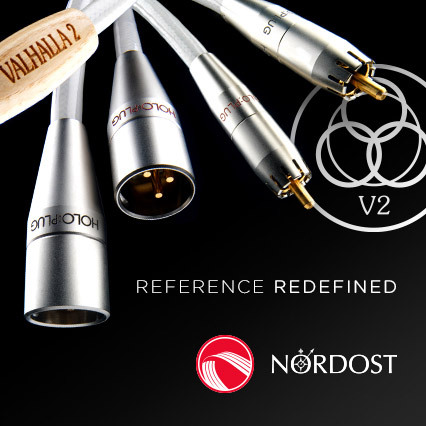 Sound quality was also better – Ms Joanna Szczepańska and Mr Wojciech Marzec, both representing the Mastering Studio of Polish Recordings, prepared a new mastering from the original master tapes in 24-bit resolution. Mr Jarek Nowak was responsible for scanning and editing of the artwork. The problem with this issue is that after some time digipak began to bend, as if gluing of paper covers and plastic interior wasn't properly done. On the discs and the back cover a logo was applied with a note inside a frame, ie. one that was used since 1979. A year later another, by far the most beautiful, reissue of selected PJ titles is released - unfortunately, only twelve of them. Bartek Chaciński wrote recently in the "Polityka" that this issue was on the verge of legality, though still the "right" side of things; as the most of the releases of that time were. 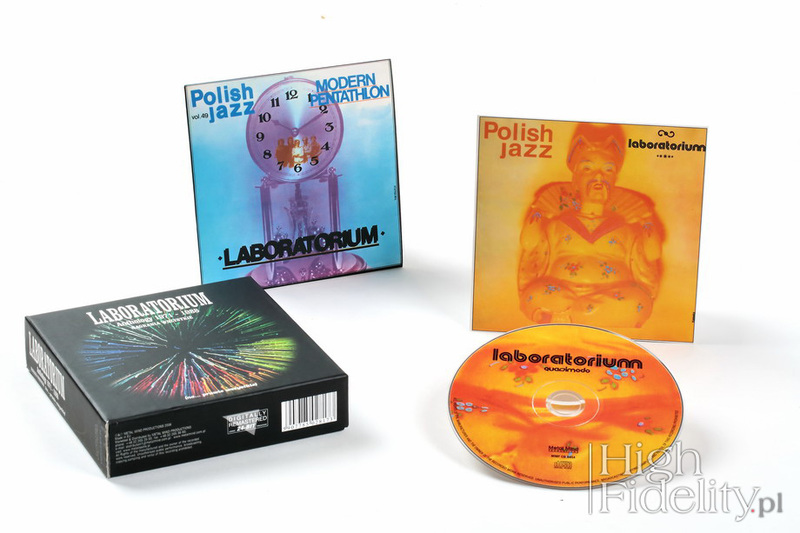 The series included: Laboratory, Extra Ball, Tomasz Stanko and Zbigniew Namysłowski albums. These albums were issued by the Polish Radio in very nice digipaks. In their cover they cut out a "window" (hence it is known as the "windowed" release), in which we could see a reduced cover. One could pull this insert out and read an essay by Józef Balcerzak, the editor of the “Jazz” magazine referring to the particular artist. Printing using colors white, red and black and spot varnish was of high quality, which ensured a very nice aesthetics effect for these releases. CDs did not pretend vinyl records and had a uniform, white print on them. 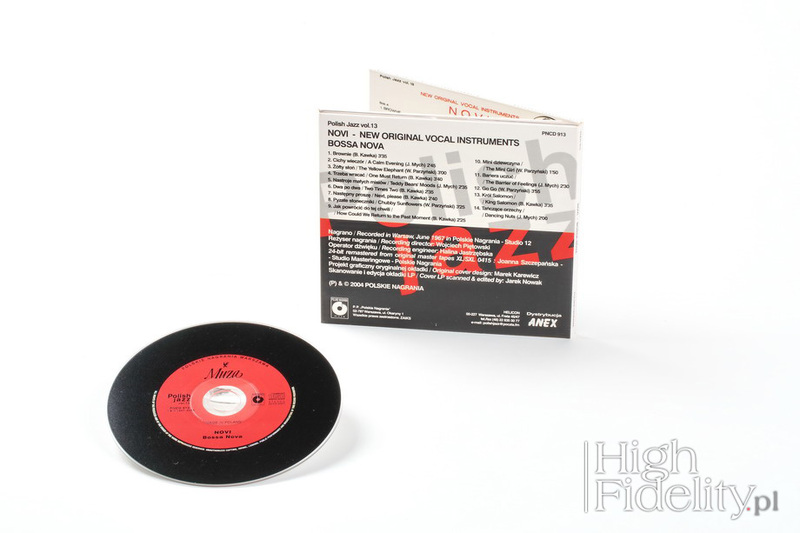 The albums could be purchased separately or together, in a tasteful box – that's a very rare version. It is interesting that just a year after the previous remaster they decided to make a new one. It was prepared by Ms Katarzyna Gleinert, whom a year later I interviewed for the "Audio" magazine. As she told me, she had at her disposal the original master tapes that she transferred to a digital domain in 24-bit resolution, with a 44,1 kHz sampling rate. Only then a noise reduction was performed using CEDAR noise cancelers and correct the defects of the tapes. She noted a poor condition of some tapes. The body responsible for the whole process was Polish Recordings Mastering Studio. This edition repeated only one title - Scant by Andrzej Trzaskowski Sextet, which in total gave us 28 titles already available on the Polish Jazz CDs. A starting point is an iconic collection of analog records issued under the Polish Jazz Series name, which since the early 1960s documented the achievements of Polish jazz artists. Its originators were Ryszard Sielicki (then artistic director of the Polish Recordings) and Andrzej Karpinski (the most famous editor of the company). The latter piloted the series until late 1980s, editing a total of 76 albums. The albums of the Polish Jazz series, especially in the 1960s, were an objective chronicle of Polish jazz. Without favoring individual styles of jazz it played first and foremost an important role of a historical document. 36 titles were released, of which only 21 came from the catalog of Polish Jazz. For the first time it was decided to expand the canon and to complement it with a series of titles that for some reason were not included in it before. And these were such great albums as: Easy by Wojciech Karolak, Bemowe frazy by Bemibem, or The Killers by Karolak / Szukalski / Bartkowski. 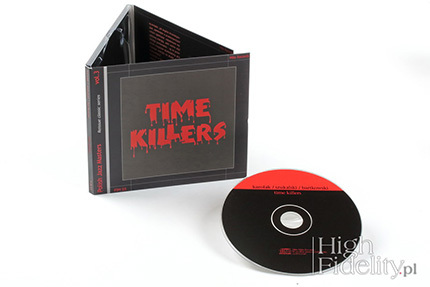 CDs were released in digipak resembling a re-release of 2004, but instead of two elements it featured three. Again a person responsible for the remaster was Ms Karolina Gleinert. The graphic design is a "work" of L. Carnelli (MEMO). Word 'work' is placed in quotes on purpose, because the printing of this series is widely considered the least successful one. The small reproductions of covers with a record in the background or in case of Time Killers of a tape did not, and after all these years still do not make a good impression. It helped that on the third part of a digipak a reproduction of the cover was placed, but the not so favorable impression remained. The disc itself was again a reference to the vinyl record with a colored label in the middle. Anna Zając on behalf of Warner Music Poland is an executive producer of the new re-issue. I do not know who chose these particular people to do particular tasks, but I would like to bow to all of them deeply, because the albums were issued with great care obviously taken in all aspects: editorial, printing and sonic too (I'll get back to it in a moment). Anyone who remembers the three previous attempts of Polish Jazz CD releases will surely highly appreciate the latest one. The release has the form of a three-part digipak with a booklet and thick covers. For the first time an exact reproduction of the album's is used for a CD release - on the previous ones cover reproductions were either too small (Polish Jazz Deluxe), or had wrong proportions because digipak's shape is rectangle, not square. Printing has a pleasant matte finish, and a spot varnish was applied on covers, making them stand out even more. 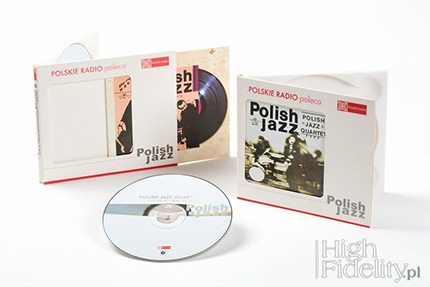 The space left on the first page of digipak was used to apply a Polish Jazz logo and a following number in the series. I mentioned already that o Right finally received an official number, "vol. 0 ", but obviously only on the vinyl edition - on the CD for some reason it is missing, shame. 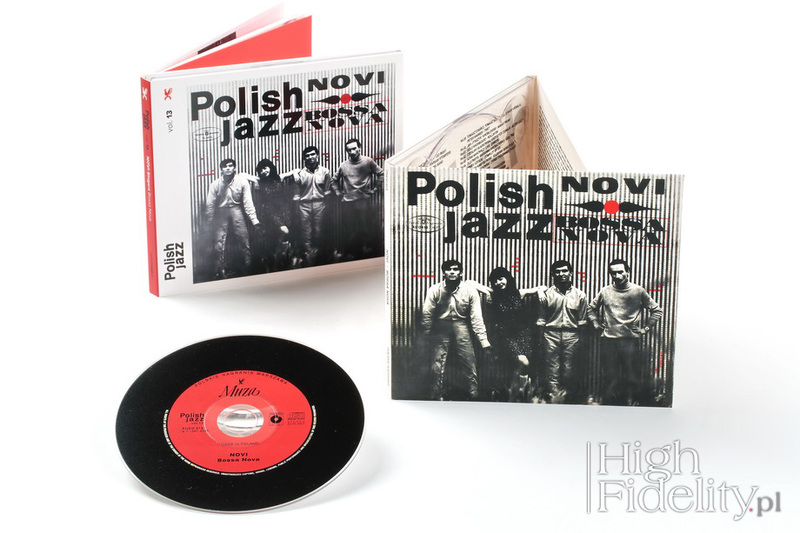 And finally I would just like to indicate that in addition to Polish Recordings reissues also Power Bro company released its own Polish Jazz reissues, although with altered cover art. Milo Kurtis (via his Milo Records) released several albums in 2003 as part of the Polish Jazz Masters series (eg Time Killers Karolak / Szukalski / Bartkowski). Reissues of Laboratory albums such as: Modern Pentathlon (vol. 49), and Quasimodo (vol. 58) were included in the box titled Anthology 1971-1988. All recordings released by Metal Mind Production in 2006 ("digital remaster 24-bit"); these featured "carboard sleeve" covers. These featured additional tracks from the period, but the downside was their decision to edit out the logo of Polish Recordings from the covers. In 2008 the same label released several titles from the Tomasz Stańko Tomasz Stanko in a the box named 1970/1976/1984/1986/1988. On the other hand, already mentioned, Marek Wilczynski of GAD Records released two titles: Jerzy Milian Trio Baazaar (vol. 17, 2015) and Krzysztof Sadowski and His Group Three Thousands Points (vol. 47, 2015). The Jerzy Milian album was released not only on CD, but also on vinyl with black and color version. The digital releases featured classic jewelcase boxes (or so-called. "plastics"). You can find a review of both versions in issue no. 129 of "High Fidelity" of January 16th 2015. (see HERE). 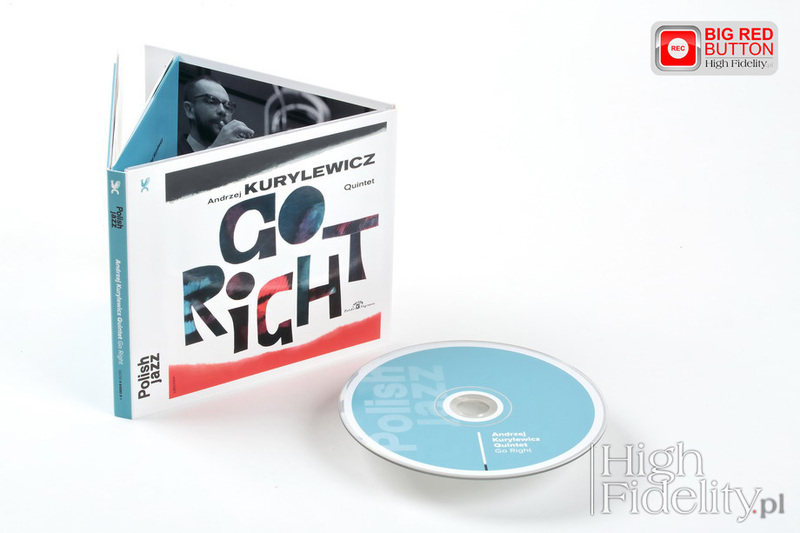 These recordings are an amazing document of a collaboration between the best Polish jazz musicians and international stars. Concerts have been recorded by accident and due to determination. Although some of the tracks were already known, such as saxophonist Stan Getz's, who agreed to release five tracks. These were released on the Polish Recordings mini LP Stan Getz in Poland. They were re-issued arousing the interest of fans around the world. Now we get a big dose of great music that, in addition to its documentary nature, shows artistry and class of Polish musicians.